So far this year, we are crushing it! 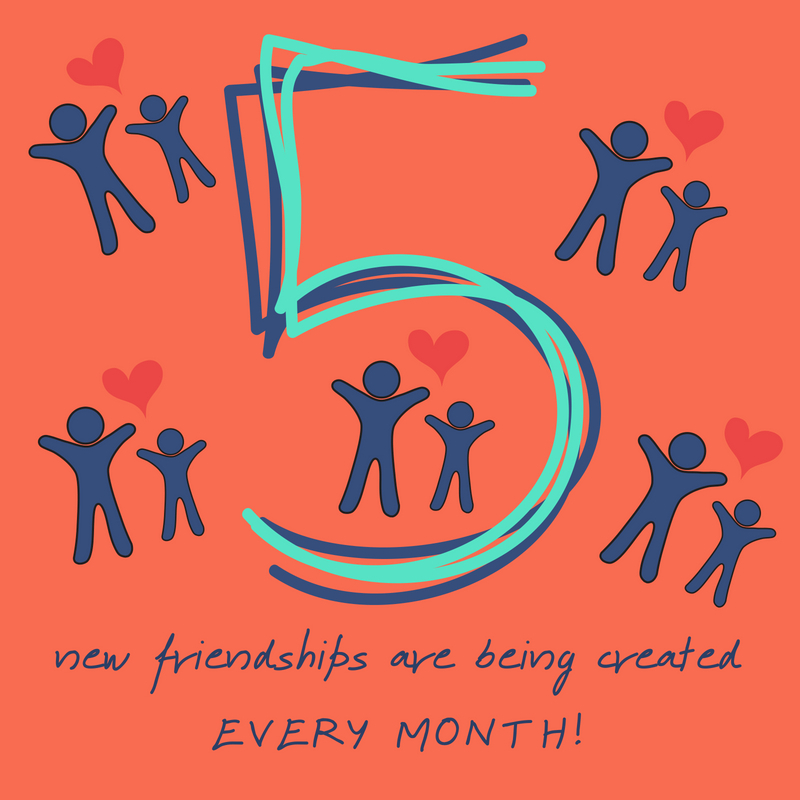 Our Program Team set out with the goal of matching 4 new friendships each month in 2018, and thus far have matched on average 5 new friendships each month! No big deal, but so far for May we’ve matched Alex + Ismael, Lupita + Cecilia, Peter + Michael, Roobina + Jaclyn, Leyna + Jayda, Galina + Jordynn, Barry + Yahir, and Cassidy + Edson – that’s 8 for those of you counting at home. Welcome to the community everyone! Graduating mentees are eligible to apply for financial support via the Fred’s Future Young Leaders Scholarship. Members of the Junior Mentor Program who have dedicated their time to Walk With Sally by volunteering with the organization are eligible to apply for the Fred’s Future Scholarship as they move on to college. So far this year, we have received 4 applications for the scholarship program from the graduating class of 2018. We are so excited to be able to help support our mentees as they strive to achieve higher education, and once again prove they are not limited by the cancer story! Click below to read more about this year’s fantastic applicants! Know Someone Who Could Use Some Support? If eligible, we match each child with their own perfect mentor! This year so far we have received 26 referrals, if you know of someone impacted by cancer that needs our support please contact us. We want to provide hope and support in any way we can! Click here to email our Program Director, Julie Cegelski, and we’ll take it from there. WLWN Less Than 2 Months Away! Do you have July 28th circled on your calendar yet? Can you believe it’s been 12 years?! We are in the midst of producing our 12th Annual White Light White Night event and this is one you won’t want to miss. Save the date for Saturday, July 28th, and keep your eyes peeled for more announcements coming very soon. In fact, we have booked our musical guest and can’t wait to tell you who it is, but we’ve already told you too much, for now Our Lips Are Sealed. The path to becoming a mentor takes some time and effort, do you have what it takes? Do you know what it takes to become a mentor with Walk With Sally? Besides undergoing a background check, TB Test, reference check and completing a multi-page application, each and every mentor must first complete a thorough Mentor Training before we set them up with their mentee. Each month we offer a full day training in our office and lead by our Program staff where we discuss our personal cancer story, child development, and how to cope with grief and loss. So far this year, we have successfully trained 44 new volunteers on their way to becoming mentors! We can’t wait to match each and every one of you with your mentee! If you’d like to get started on the way to becoming a mentor click below and we’ll get you all the info you need to know! This entry was posted in Happenings and tagged 2018, Fred's Future, friendship, Junior Mentors, Matches, Mentor Training, Referral, Scholarship, wlwn.